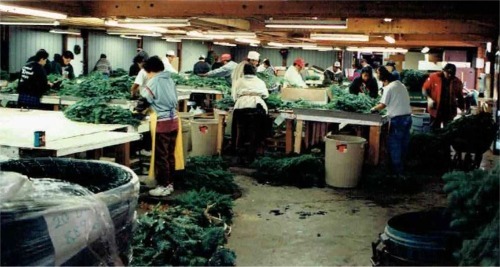 Turnbull Evergreens is a family run business located in Tacoma, Washington. We have been harvesting our own greens and making our own products for over 30 years. L & O Evergreens, Inc. is the fund raising division of our company and Turnbull Evergreens is the commercial division. 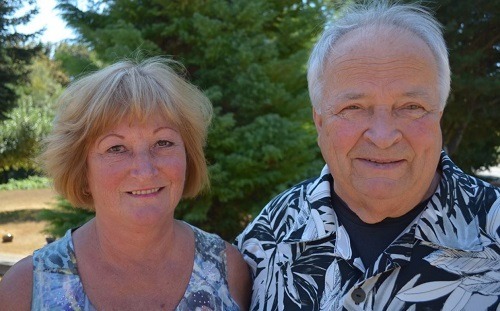 Gary and Sue Turnbull are 'hands on' owners who participate in every aspect of the business. They are committed to making sure that the products they produce are of the highest quality and arrive at your doorstep as fresh as possible. Turnbull Evergreens, Inc. has been working with fund raising groups all across the United States for over 30 years and has provided a way for hundreds of schools, church groups, Boy Scouts and other organizations to raise money for their cause. You will be delighted with our fresh products, special sales kit and personal service. We are interested in your success! Please browse our website and contact us if you have further questions. We are ready to help you at every turn and look forward to helping you with your next fund raiser. 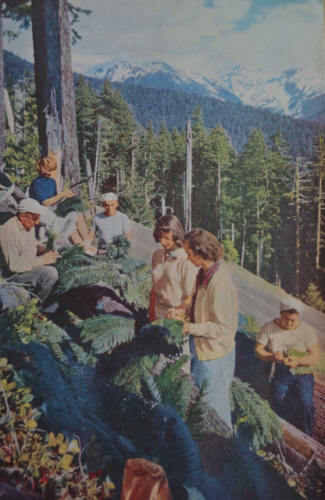 Wreath making in the Turnbull family started back in the 1950's, as Sue's mother is shown here (on far right) with a group of women sorting floral greens on the slopes of Mt. Rainier in the late 1950's. 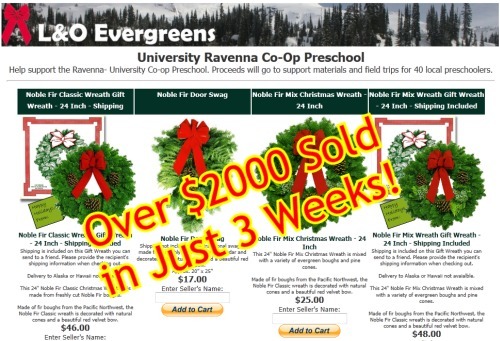 The University Ravenna Preschool Co-Op used L&O Evergrens new online fundraising website for the first time in 2016, and after 900+ visits to their site, they sold over $2000 in wreaths!